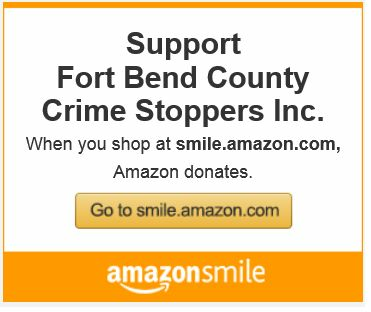 Fort Bend County Crime Stoppers, Inc. relies on court ordered donations to pay REWARDS. We rely on Donations from the citizens, businesses and civic organizations to fund our operating budget. NO Tax Dollars are used to fund our program. Personal/Business/Corporate Donations: Could be made in Check, Money Order or Cashier’s Check made out to Fort Bend County Crime Stoppers and could be mailed to PO Box 1607, Rosenberg, Tx 77471. Please include an address that I would be able to mail a receipt back to. It could also be delivered to the Sheriff’s Office, whichever is more convenient. A W-9 is available for businesses/corporations.